Even before President Obama’s much heralded Patient Protection and Affordable Care Act goes into full effect starting next year, the medical community is already struggling with too many patients and not enough doctors. 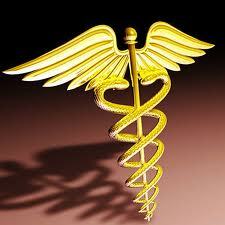 The Association of American Medical Colleges says that there is a shortage of at least 13,000 doctors nationwide. But here’s the kicker: It’s only going to get worse as a nationalized healthcare plan is instituted across the United States. If you think 13,000 is a big number, consider what the state of our health care will be when, just a decade from now, the shortages are ten times worse. Once a problem limited to rural areas, doctor shortages are now hitting large population centers such as Las Vegas and Detroit where people may have to wait weeks or months or travel hundreds of miles for care. That shortfall is expected to grow 10-fold to 130,000 doctors within 12 years as the US population ages and 30 million more people are added to insurance rolls under the 2010 health-care law, the medical college association said. In the Las Vegas area, with about 2 million people, patients and doctors said it can take six months to see a primary-care doctor for a simple checkup. For more serious matters, the waits are far longer — more than a year, for example, to get an appointment with a neurologist who specializes in autism. In a bid to address the shortage, the medical community has embraced the greater use of nurse practitioners and physician assistants, who can prescribe medicines and diagnose and treat many illnesses. The number of physician assistants is projected to increase 39 percent to 108,000 by 2020, according to the Bureau of Labor Statistics. Still, physician assistants can’t replace specialists as regional shortages of all categories of doctors persist. Given that socialized medicine will lead to widespread bureaucracy in the health care industry (it’s bad enough with existing private and quasi-private insurers), along with forced pay cuts to doctors mandated by government insurance plans, the medical community will be hard pressed to find the amount of doctors that will be required to provide care for an ever growing US population. Seven of those states, according to Kaiser Health News, have enacted or tightened those limits in just the last two years. Couple these shortages with a government that has to borrow billions of dollars monthly just to pay the interest on existing loans, and you can see why the health care system in this country is going to very rapidly descend into what was experienced by millions of residents of the East Bloc during the communist occupation of the late 20th century. The running joke was that you don’t go to hospitals to seek medical care – you go there to die (often because of a lack of proper medical care). It’s not so funny when you consider that we are very quickly approaching the same here in the United States.